Are you looking for a way to spruce up your vocal skills? Want to find a sure-fire way to perform confidently during your next music recital? Are you an aspiring actor searching for tips on how to impress the studios at that next big audition? Do you have children interested in the performing arts? If you answered “yes” to any of these questions, then considering Disney Performing Arts programs may be just what you or a family member needs to showcase and develop talent through exclusive opportunities only Disney can provide. Image: Study the arts with the pros through Disney Performing Arts, a series of workshops, festivals, and performance opportunities held at Walt Disney World and Disneyland. Since 1955, over 30,000 groups from states across America and six different continents have participated in Disney Performing Arts. 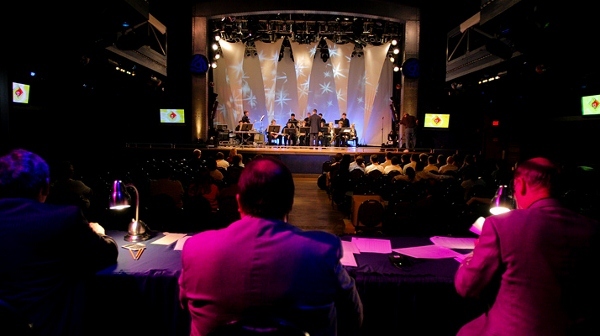 The program, which is held at both the Walt Disney World Resort in Florida and the Disneyland Resort in California, is a series of informative workshops, exciting competitions, and entertaining festivals and events designed to help individuals who are interested in performance whether it be vocal, theater, dance, or instrumental. Participants can sing, dance, and shine on Disney stages while building confidence, character, and memories that will last a lifetime. Image: Disney Performing Arts programs are available for students beginning at age 7. Disney Performing Arts, sponsored by the National Association for Music Education, is offered for students in elementary, middle, and high school; there is also a series of programs for those who are in college. Many of the thousands of participants in the program use their experiences to pursue successful careers in the professional performance industry. This includes actress Jennifer Morrison, School of Rock’s Caitlin Hale, and musicians such as Jerry DePizzo of O.A.R., Mike Scheuchzer of Mercy Me, and jazz artist, Jessy J. 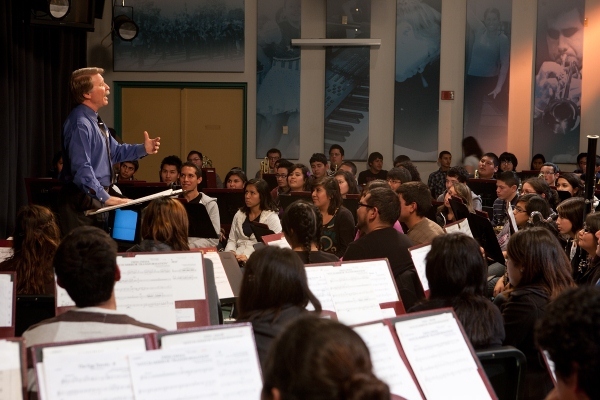 Image: Young musicians can learn from professionals through a variety of Disney programs. The OnStage program gives students the opportunity to perform live in front of international audiences at Walt Disney World or Disneyland. 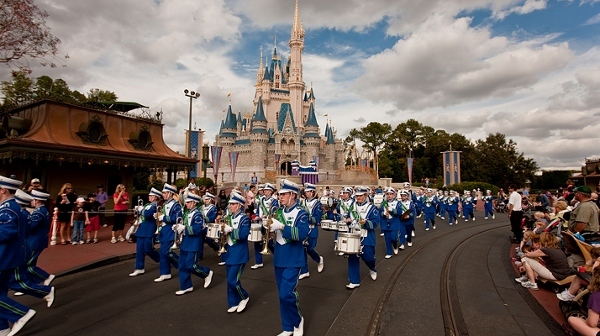 Many park guests are familiar with seeing a high school band march down Main Street at the Magic Kingdom. Middle and high school instrumental, vocal, and dance groups are eligible to audition for such an opportunity with Disney entertainment. Selected groups participate in their “on stage” performance while learning about the Disney standard for performance excellence. While there, students also have the opportunity to participate in exclusive workshops where they can build confidence, camaraderie, and fine-tune their skills with entertainment professionals. Image: A group of young musicians performs for guests at the Walt Disney World Resort. The workshops are offered for a variety of levels beginning with younger performers aged seven and up. Classes are offered in two and three hour formats to instrumental, choral, and dance ensembles, marching bands, theater groups, and auxiliary units. Students will have the chance to practice on Disney stages and other unique locations nearby. Costs vary depending upon the program and its offerings, but begin at $60 per person and can go as high as over $1,000 per group. I really am amazed at the wide variety of workshop topics that Disney offers through the Performing Arts program. One that struck me as a very unique experience is that of Disney Sings in which students record an excerpt from an animated Disney feature film’s soundtrack. While doing so, they are guided by a professional Disney vocalist who helps build confidence and skill. I also thought that the Puppet Lab was a great offering because it gives students experience working with Disney puppets and mastering techniques needed for live shows. Auditions & Careers: Acting simulates the life of a professional actor including an audition, rehearsal time, and performance of a scene from a Disney production. In addition to providing training and opportunities to showcase talent, Disney Performing Arts also offers exciting festivals and competitions for performers. Students can compete during numerous events year around at the Walt Disney World Resort and Disneyland Resort. Festivals are judged by nationally recognized adjudicators or industry professionals. As a result, students receive valuable feedback that can help in future endeavors. One such event is Festival Disney, a bi-annual event held at Walt Disney World on select weekends from March through June. This competitive festival offers middle school and high school performing arts groups a chance to perform and receive feedback from professionals. The event is open to choirs, orchestras, bands, and auxiliary ensembles and even includes awards and medals for the top competitors. Image: Groups compete and interact with leading music educators at the bi-annual Festival Disney event. For those looking for less competition while training, The Disney Honors is a non-competitive festival that takes place each spring in Walt Disney World. According to Disney, it “challenges students to reach new musical heights and features performances, clinics, guest speakers, and feedback from an outstanding panel of evaluators.” The festival ends with a semi-formal gala celebrating everyone’s achievements. All students are recognized with a commemorative award and medal for their participation in the festival. One of the most exciting opportunities for middle and high school instrumentalists and vocalists is the Disney Jazz Celebration. This festival brings together students and nationally recognized jazz educators from around the world to perform, critique, and teach in a competitive event over the course of a weekend. During this time, signature events are a part of the celebration and include performances and personalized clinics with renowned jazz artists. Even more so, students also enjoy GRAMMY Camp- Basic Training sessions presented by the GRAMMY foundation; the class includes a panel of music professionals who offer insight into the many music careers available today. 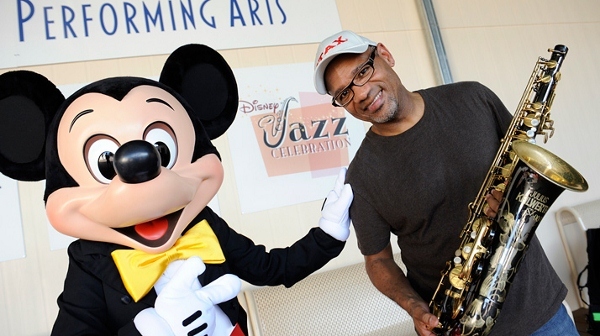 Image: Grammy-nominated saxophonist Kirk Whalum is among the legendary performers who have worked with students at the annual Disney Jazz Celebration. All in all, Disney Performing Arts promises to be an invaluable opportunity for students and young adults to hone skills and learn from professionals. Groups and individuals may participate in the program’s wide variety of offerings. Disney’s commitment to excellence proves that these experiences are something any aspiring performer would enjoy and find helpful while training for a career in the arts. 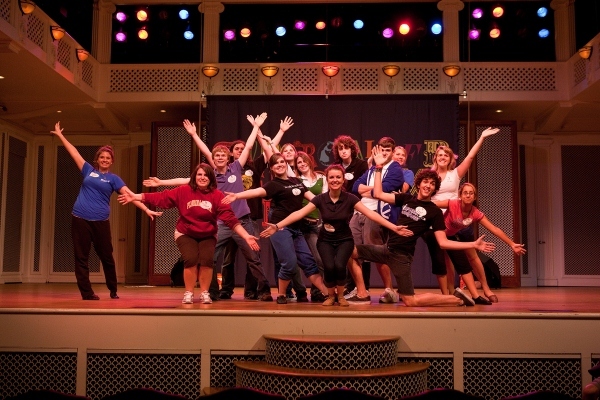 For more information about Disney Performing Arts, visit disneyyouth.com. The Kiss Goodnight for Segways at Disneyland? School Days: Grab Your Pencils & Books! It’s Time to Go Back to School – Disney Style!